Wright City provides a peaceful, semi-rural area in which to live, yet is within an easy drive for the major sporting and cultural events of the St. Louis area. A wide variety of homesites are available to serve almost any lifestyle. CODE RED IS THE NEW EMERGENCY MASS NOTIFICATION PROVIDER FOR WARREN COUNTY. IN CASE OF AN EMERGENCY SITUATION, ELECTRONIC NOTICES WILL GO OUT TO THOSE REGISTERED. 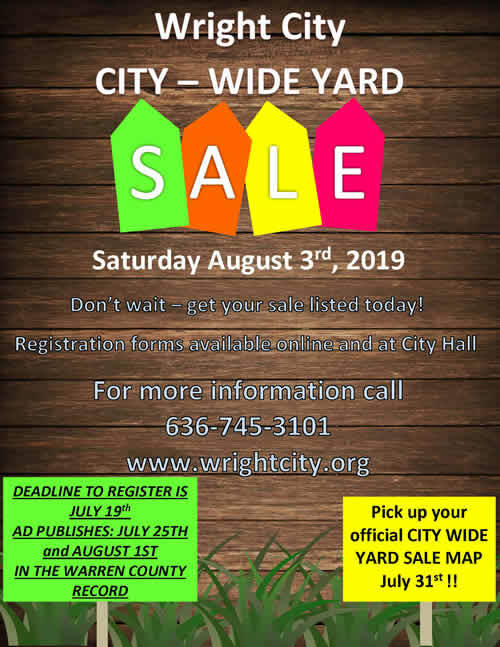 City of Wright City is taking a proactive approach to ensure all residents have an opportunity for their viewpoints of housing, employment, infrastructure, economy, planning and zoning and other issues facing the city. These will be considered in the development of a Comprehensive Plan. Your input and collaboration is essential in order to ensure that the Plan’s direction and goals are firmly supported by the community. Hard copies are available at the City Hall. All responses will be kept confidential. As of July 12, 2018, if you have problems or concerns with your water or sewer service please contact Water Supply District #2 at 636-561-3737. This number is answered 24 hours a day. You can also go to their website www.waterdistrict2.com or email them at info@waterdistrict2.com. 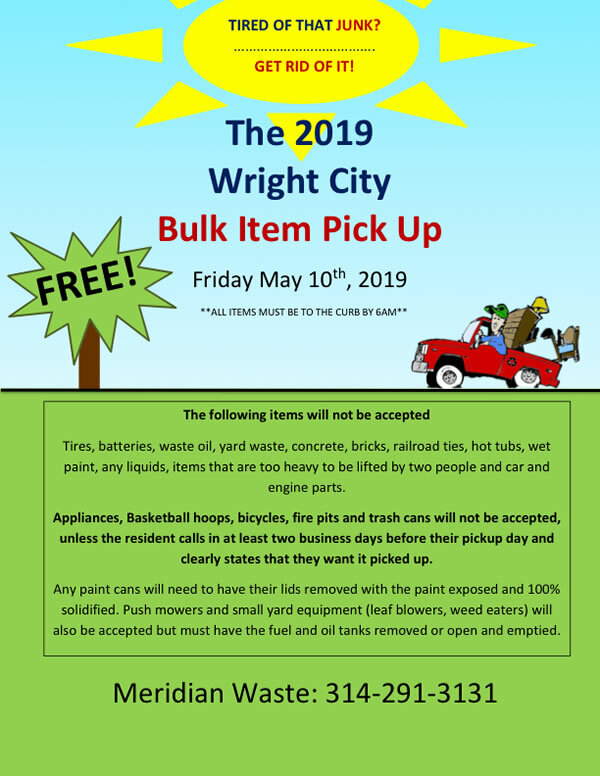 The City of Wright City will still handle the residential trash service. All meetings and Court sessions are open to the public. By D. M. Wright. Jr. Co., St. Louis, Mo. The City of Wright City was platted as a village in 1857 by Doctor Henry C. Wright on land granted to Dr. Wright in 1831 by the United States. The village was platted to take advantage of the new North Missouri Railroad which was constructed in 1857. Dr. Wright built his home about 1860 on land that sets now at the corner of South First Street and South Locust. In September 1863, the Wright City Raid took place during the Civil War. The Baptist Church, Bryan’s Blacksmith Shop and Kennedy’s Saloon (all known to be places where Southern sympathizers congregated) were burned to the ground by Union Militia. The town of Wright City was incorporated in 1869 and became a fourth class city in 1941. 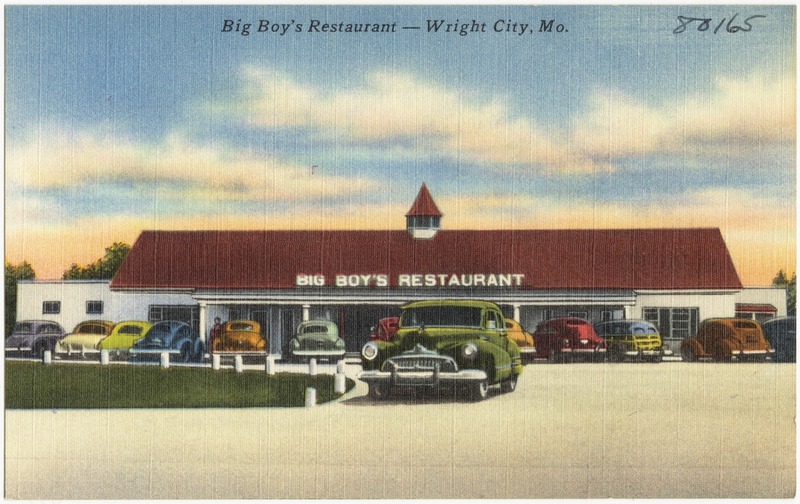 Wright City, a thriving community doing business through the railroad, then with the advent of automobiles Highway 40 ran through the center of town bringing motorists and businesses catering to them. In the 1950’s, Interstate 70 was constructed, bringing a whole new group of businesses. Today, Wright City is a growing community with the advantage of the railroad and interstate highway.